Available to current Volkswagen Owners and Lease customers. Market conditions have created a high demand for quality pre-owned Volkswagen vehicles, and as a result, Hendrick Volkswagen Frisco is reaching out to our valued customers to let them know how easy it is to upgrade to a new Volkswagen today. Little or No Money Out of Pocket! Above Market Trade in Value! New Volkswagen Technology & Performance! Simple – Quick – Easy Exchange! Contact us for more information regarding the VW Auto Exchange Program available in Frisco, TX or call us now at (877) 384-0699. 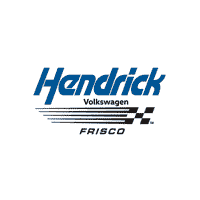 Get hours and directions to Hendrick Volkswagen Frisco.